Actually, it’s a misconception to think of a home inspection as a “pass” or fail test. Rather, a home inspection is an assessment of the condition of the major accessible elements of the home by a professionally trained inspector. Issues may arise based on a buyer’s specific concerns regarding the home inspection report findings, their particular expectations and the specific terms of the sales contract. But there are things you can do to help the home inspection go smoothly, ensuring the best possible outcome for all parties and the least inconvenience to you. 80% of all home buyers in Calgary opt for a home inspection — not because they don’t trust you, the seller — but because it is an opportunity for them to learn more about the house. 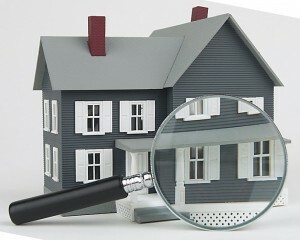 Buyers generally feel more confident about a home purchase after they have had a thorough home inspection. Here are a few things you can do to help the process along. Make sure the inspector has access to all the major elements and areas of the home. For everyone’s sake, it’s best to get the inspection completed in one visit, without interruption. To ensure this can occur, here are a few hard and fast rules for preparing your home for the inspection. In addition to making sure there are no defects of which they are not aware, a professional home inspector will show the buyers how to operate many of the systems in the home and provide helpful suggestions on maintaining it. We’ve already covered the need to provide proper access to your home for the home inspection; it is also recommended you address minor maintenance items now before the inspection. By correcting the minor, easy-to-address issues before hand, the inspection report won’t be full of needless, distracting concerns. Naturally, you want to put your best foot forward to sell your home. While we don’t suggest that you run out and replace aging systems, there are things you can do that will help. Don’t use fireplaces/woodstoves the evening before or the day of the inspection. They should be cool and cleaned for inspection. Pets in the house should be confined or removed for the duration of the inspection. If they must remain in the home, notify the inspector of their presence. They should not be left in a room or area that needs to be inspected. Leave dirty dishes in the dishwasher with detergent, ready to go. The inspector will run the dishwasher during the inspection — why waste energy and water? Turn off any sensitive electronic equipment before the inspection and confirm all pre-programmed electronics and alarms are reset afterwards. Follow up with your Calgary real estate professional to see how the buyers are feeling about the inspection. Keep in mind that every home buyer and every situation is different. Your real estate professional should help you determine how to proceed. And remember, don’t take the findings of the report personally. Don’t get insulted or react rashly. All too often sales fall apart as a result of misguided emotions instead of real dollar issues.